supplier of quality water filters, offering under sink reverse osmosis water filters or whole house filtration systems. utilize coconut sell GAC and are designed to remove unpleasant taste and odors as well as sediment to produce cleaner, clearer, better tasting water. 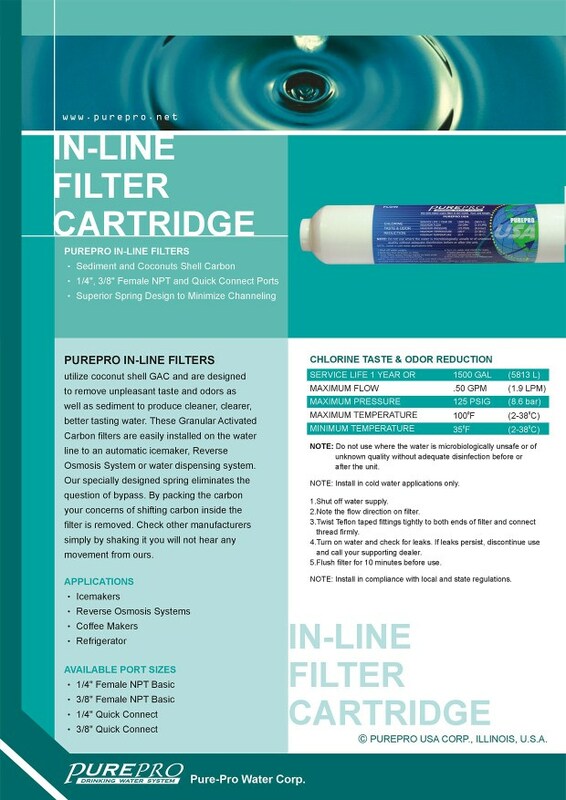 These Granular Activated Carbon filters are easily installed on the water line to an automatic icemaker, Reverse Osmosis System or water dispensing system. Our specially designed spring eliminates the question of bypass. By packing the carbon your concerns of shifting carbon inside the filter is removed. © PUREPRO USA CORP., ILLINOIS, U.S.A.